Bring the kids out for a night of free fun with us! 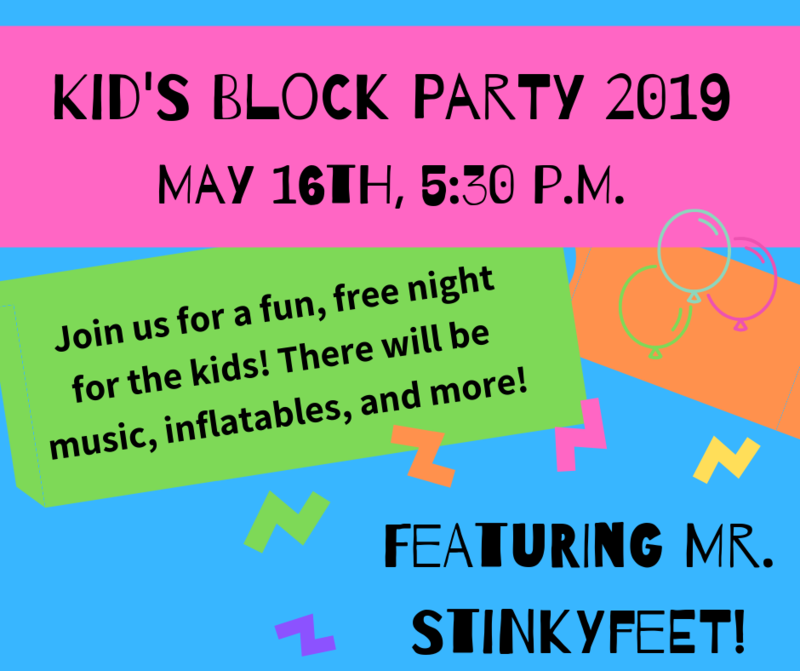 There will be inflatables, games, and our featured guest, Mr. Stinky feet! 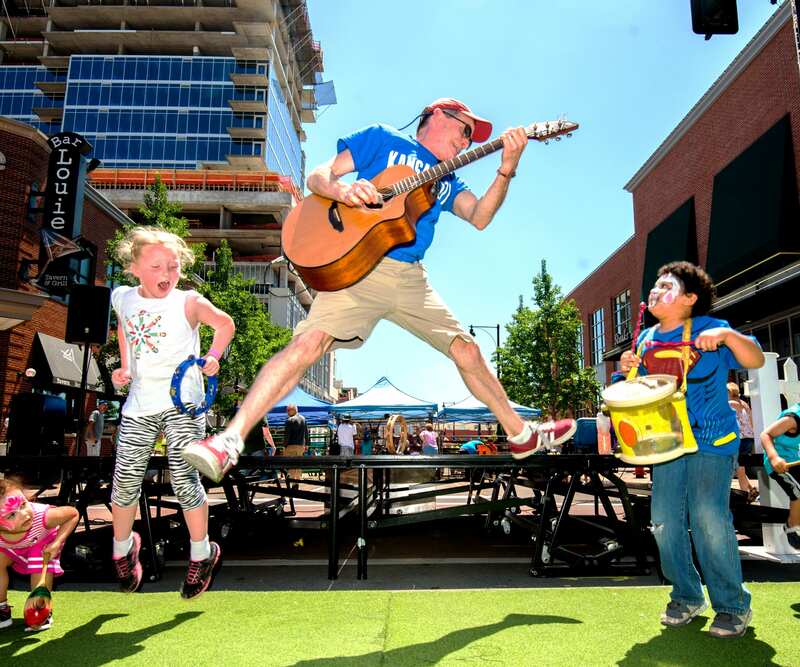 Jim "Mr. Stinky Feet" Cosgrove has been bringing families together through music for over two decades. Come sing, dance, and play in the band during this high-energy, interactive show that will get the whole family rockin’. May 16th at 5:30 p.m. on 4th and Buchanan. There are plenty of opportunities for local businesses to get involved in the block party! Check out our sponsorship opportunities above, and download your registration form under the "Register Your Business link above. Completed forms can be submitted at the Chamber at 408 N Market St.